“In Chhattisgarh, land is taken away from tribals and they do not get a pittance in return,” said Justice Deepak Gupta of the Supreme Court during his address at the launch of a law programme to be jointly conducted by the World Wide Fund for Nature-India and the OP Jindal Global University. Justice Gupta’s comments are significant in the light of large tracts of pristine forest in the State — once inviolate —... Read more..
CII Uttarakhand State Council with its Centre of Excellence CESD (CII–ITC Centre for Excellence and Sustainable Development) organised a One Day Training Programme on Waste Management Rules and Their Amendments here today. The programme focused on the importance of Waste Management, Various Acts and Rules and the amendments therein notified by the Ministry of Environment, Forest & Climate Change (MoEF&CC) for better understanding of the compliance obligations required by the Industry. India will launch $5 billion of transmission-line tenders in phases, beginning in June, to route a targeted 175 gigawatts (GW) of power from renewable sources into the country's grid by 2022, the secretary at the ministry of renewable energy said. India, the world's third-largest emitter of greenhouse gases, has pledged to cut emissions and have clean energy account for at least 40% of its installed capacity by... Read more..
EverSource Capital, the joint venture between private equity firm Everstone Capital and global solar project developer Lightsource BP, is looking to invest over $1 billion in renewable energy investments through its Green Growth Equity Fund, said a senior company executive.The National Investments and Infrastructure Fund (NIIF) of India and the UK government are anchor investors in Green Growth Equity Fund. “We... Read more..
China, the US and India together accounted for nearly 70 per cent of the rise in energy demand, even as such demand worldwide grew by 2.3 per cent last year, at its fastest pace this decade, the International Energy Agency (IEA) said on Tuesday. This exceptional rise in energy demand was driven by a robust global economy and stronger heating and cooling needs in some regions, according to the IEA report. ... Read more.. The Department of Heavy Industries (DHI) under the Ministry of Heavy Industries and Public Enterprises has invited proposals for appointment of a 'knowledge partner' for promotion of FAME-II scheme. Companies empaneled as management consultants with National Informatics Center Services Incorporated (NICSI) such as Deloitte, E&Y, KPMG, PwC and Wipro can participate in the bid. The agency will hold research... Read more..
BP today announced it has established a $100 million fund for projects that will deliver new greenhouse gas (GHG) emission reduction in its Upstream oil and gas operations. The new Upstream Carbon Fund will provide significant support to BP’s work generating sustainable greenhouse gas emissions reductions in its operations, the firm said. In April 2018, BP set targets aimed at reducing its emissions and advancing... Read more..
Toyota Kirloskar Motor (TKM) has been working towards the company's global initative of Global Environmental Challenge 2050 in line with the United Nations Sustainable Development Goals. The Indian subsidiary of the Japanese automobile major presently sources 87 per cent of electricity consumption at its Bidadi facility. This change has resulted in over 51,000 tons of Co2 reduction which is a major achievement. 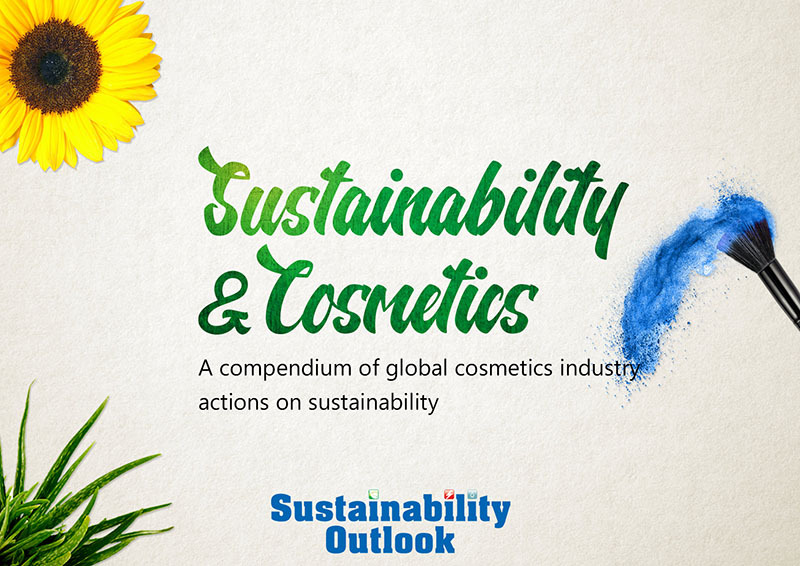 The company has gradually increased the green energy procurement and investment in the renewable... Read more.. The FAME 2 scheme has brought cheers to the automakers in India. The Union Cabinet on February 28 allocated ₹ 10,000 crore to speed-up the development of the EV infrastructure in the country a major chunk of which will be channelised to set up fast-charging stations on a large scale. Many carmakers had already announced launching or at least evaluating the viability of electric vehicles in India beforehand. For instance, Audi has already decided to launch the e-Tron in our market and Porsche will be bringing... Read more..
With India home to seven of the top 10 most polluted cities in the world, Germany-based mobility solutions provider Wunder is pitching carpooling as an effective remedy to the alarming levels of vehicular pollution in the country. Wunder has drawn up an aggressive expansion strategy for India, starting with the national capital, and has also begun actively engaging with the central and state governments, a top company executive said. Having achieved a user base of more than 300,000 in Delhi and more than one... Read more..
Environmentalists and activists are demanding that environment issues find a place in the election manifestos of political parties. The city’s green activists have been disappointed with the political discussions in the run-up to the Lok Sabha polls next month, being bereft of issues of ecological destruction and tribal displacements faced by the city as well as the state on account of mindless development. ... Read more..
Manufacturers of electric two-wheelers raised doubts about meeting India’s dream of having a million such vehicles on road in the next three years, due to a reduction in incentives given under the second phase of the Faster Adoption and Manufacturing of Electric Vehicles (FAME) programme. In a letter to the NITI Aayog and the Department of Heavy Industry, industry body Society of Manufacturers of Electric Vehicles... Read more..
Suzlon Energy Monday said it has completed sale of its two arms - SE Solar and Gale Solarfarms - to CLP Wind Farms for a total... Read more..
Go with the wind if you want to charge mobile phones and power banks. A tiny device weighing less than 30 gram can easily charge phones and even lit an array of LEDs. Two years of hard work by a team of researchers at Indian Institute of Technology (IIT) has transformed into a tiny flexible Piezoelectric based smart flags with inbuilt circuits that can charge devices from wind energy trapped through... Read more..
Sweden remains on the top on this annual list compiled by Geneva-based World Economic Forum (WEF) and is followed by Switzerland and Norway in the top three, as per its latest report... Read more..
India Green Manufacturing Challenge (IGMC) is an award platform that assesses and... Read more.. 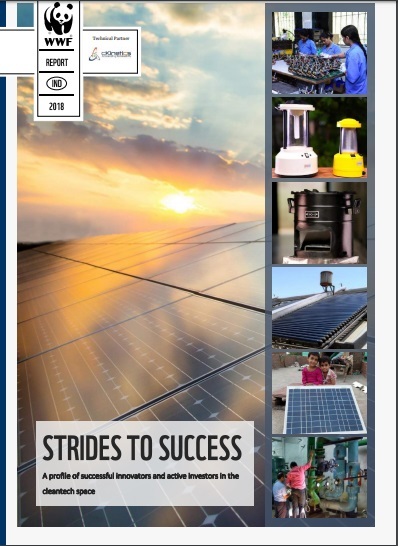 The Maharashtra Electricity Regulatory Commission (MERC) in a recent order has confirmed that the power generated by off-grid solar photovoltaic (PV) water pumps in the state installed under various solar agricultural pump schemes will be counted towards meeting the renewable purchase obligation (RPO) of Maharashtra State Electricity Distribution Company Limited (MSEDCL). The commission observed that even... Read more.. Asserting that India offers a huge opportunity, Denmark-based pump manufacturer Grundfos on Sunday said it is making efforts to come up with an affordable innovation for the groundwater market in the country. 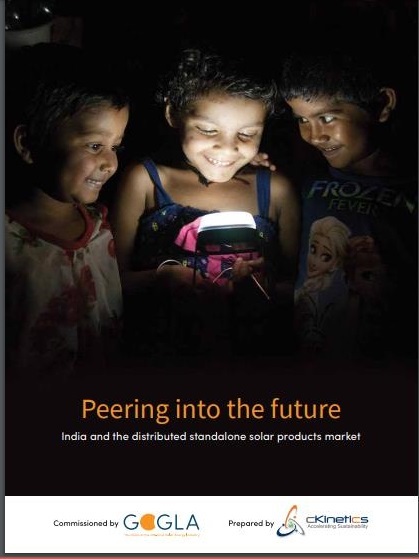 It also said products like solar-powered pumps and water treatment solutions have big potential in India. "India... Read more.. The Vice President of India, Shri M. Venkaiah Naidu has called for fully tapping the enormous potential of the Blue Economy for the country to achieve higher economic growth. Observing that the objective of the Blue Economy is to promote smart, sustainable and inclusive growth and employment opportunities through maritime economic activities, the Vice President wanted appropriate programs to be initiated for... Read more..
India for the first time may allow electricity generation companies to call bids from state distribution companies to sell power. The move is aimed at introducing market-based price discovery for electricity and curbing nontransparent bilateral ties between states and power plants that are not recognised under the Electricity Act, according to the proposal from the power ministry. ... Read more.. The capital will get 131 public charging stations for electric vehicles to address the concerns of potential buyers and to ensure that people have access to recharging facilities in their vicinity. According to the plan approved by the power ministry and the Delhi government, 33 such facilities will be set up at Metro stations, 34 at CNG stations, 24 at Indian Oil petrol pumps, 15 at Bharat Petroleum fuel stations... Read more..
Conservation of energy seems to be on Jaipur Development Authority (JDA)’s top agenda. After deciding to install roof top solar panel, the civic body has signed an agreement with Government of India, public sector undertaking (PSU) to replace existing electronic appliances with energy saving ones. Under the Building Energy Efficiency Program (BEEP), the JDA will sign an agreement with ESSL. As per the... Read more.. The Narendra Modi-led NDA government is all set to showcase the progress of its 100 smart cities initiative to woo the urban middle class this election season. According to sources, the Centre would be talking about the work that has been done as well as the projects that are being planned in these 100 cities. During its campaigns, the party will explain how cities will get transformed over the next five years. Many of the brownfield projects are slated to start taking off after the polls. A number of civil society organisations and city residents Saturday took out a march to protest the alleged failure of authorities to shut down a waste-to-energy plant in Okhla, saying toxic emissions from it were polluting the area. The protesters said the Okhla plant is situated in a densely-populated part of South Delhi. The incinerator is close to Sukhdev Vihar, Ishwar Nagar, New Friends Colony, Jasola, Sarita... Read more..
A Rs 10,000 crore scheme to subsidise sale of electric and hybrid vehicles as part of efforts to curb pollution is welcome, but the government is missing out on low-hanging fruits like Auto LPG, that can have an immediate impact on urban air quality, Indian Auto LPG Coalition (IAC) said. The association urged that the government should provide a level playing field to other cleaner gaseous fuels like Auto LPG as... Read more..